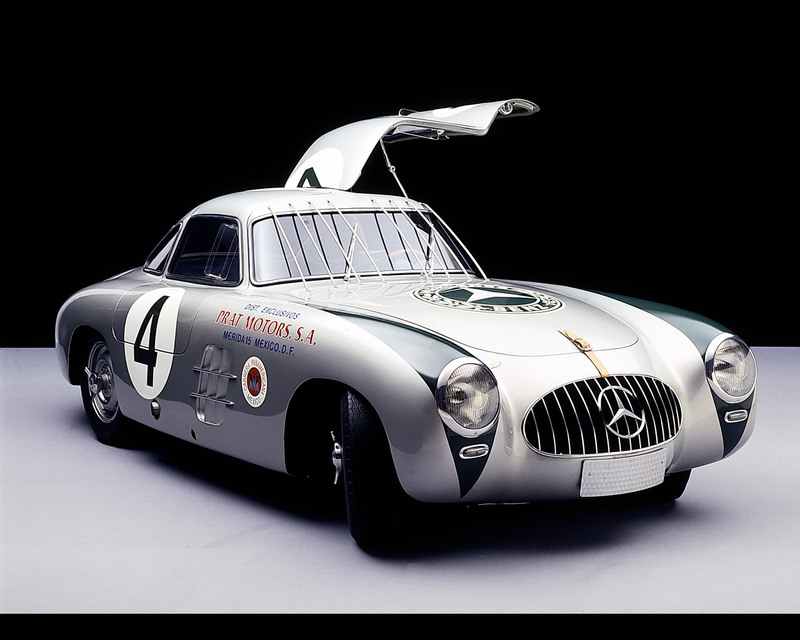 The Mercedes 300 SL was conceived as a purpose built racing sports car (W194). 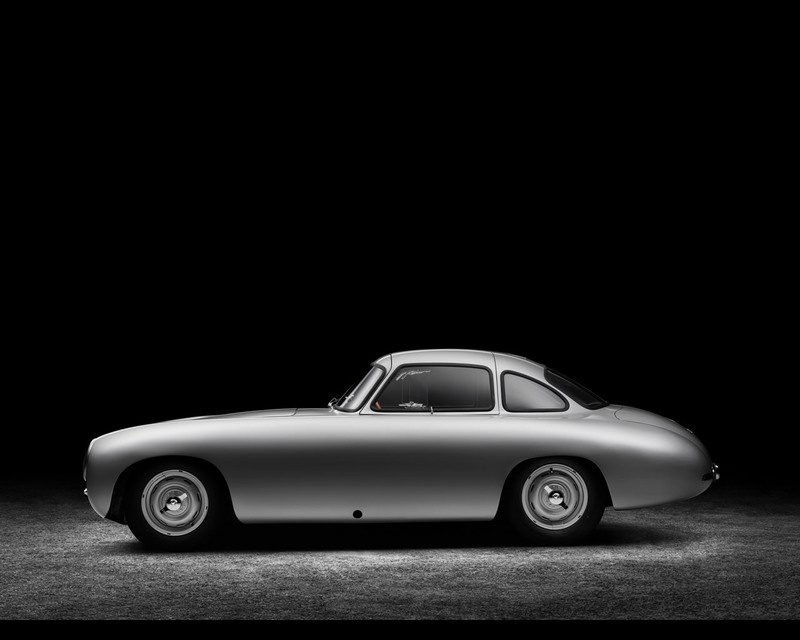 In 1952, the coupe notched an impressive record of success in major races. 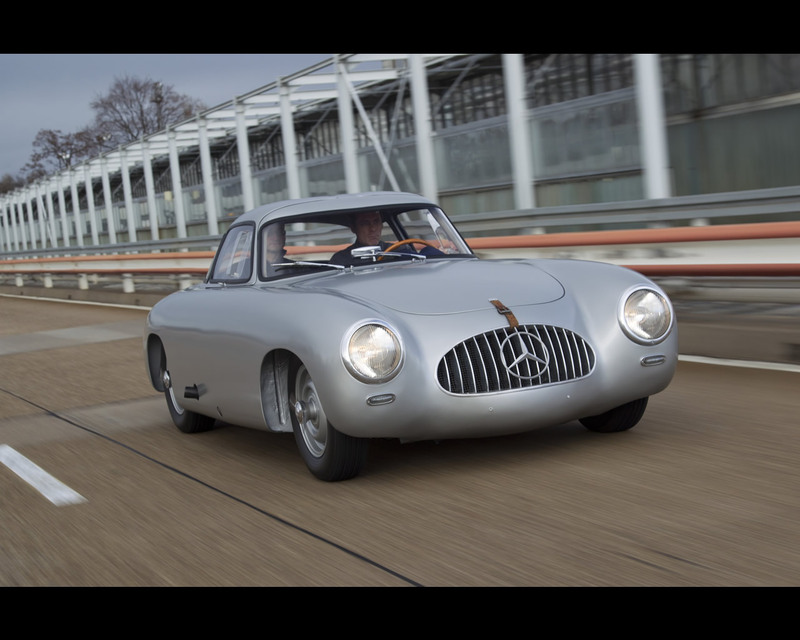 At the Grand Prix of Bern the 300SL sealed a clean sweep of the podium. 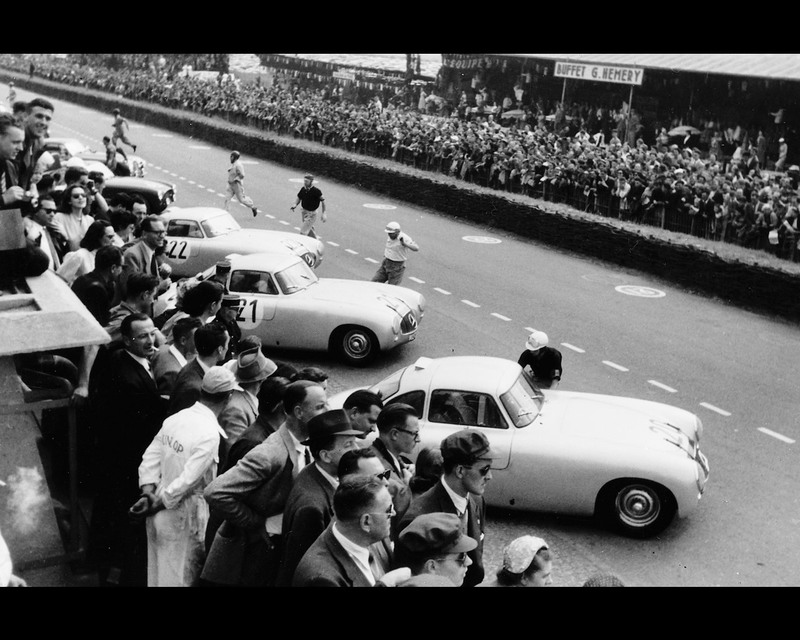 At the 24 Hours of Le Mans, the 300 SL obtained a double victory with first and second position. 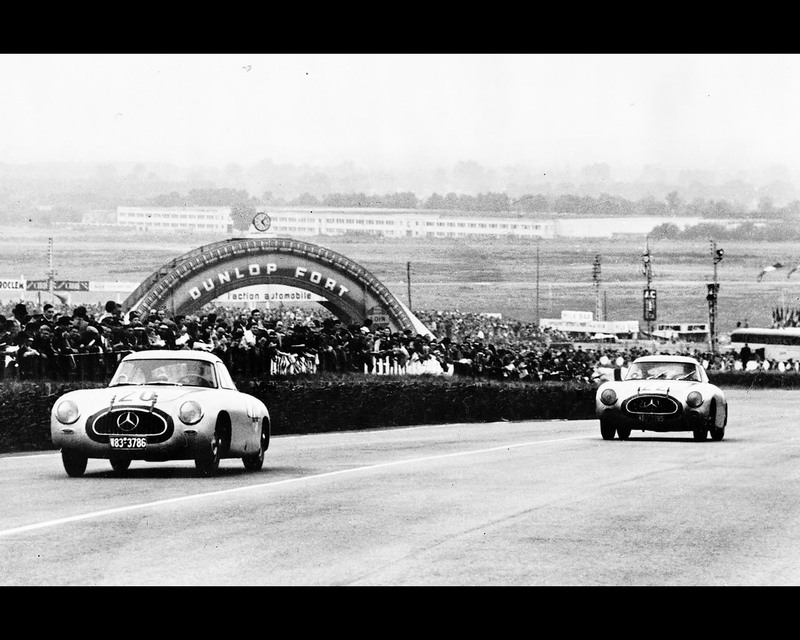 The Nurburgring yielded a one-two-three finish. 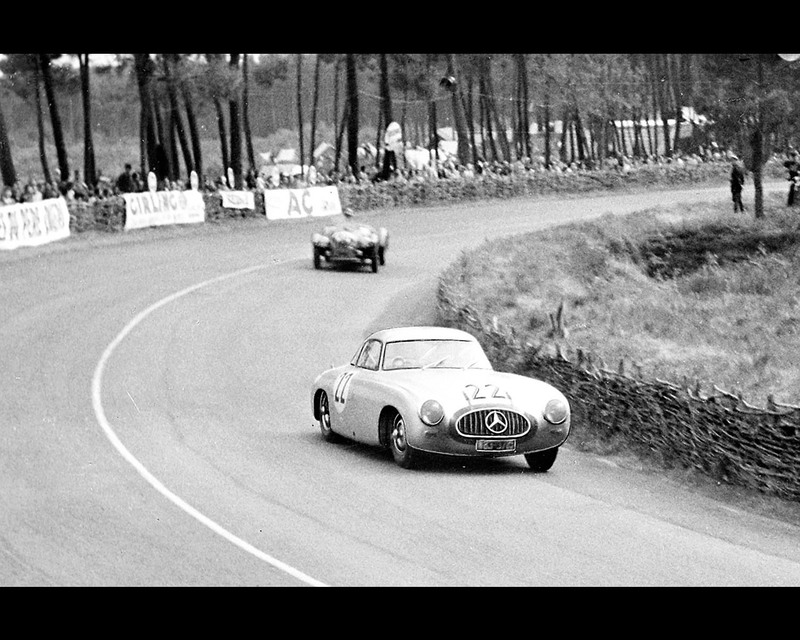 At the Carrera Panamericana in Mexico, the 300 SL claimed victory. 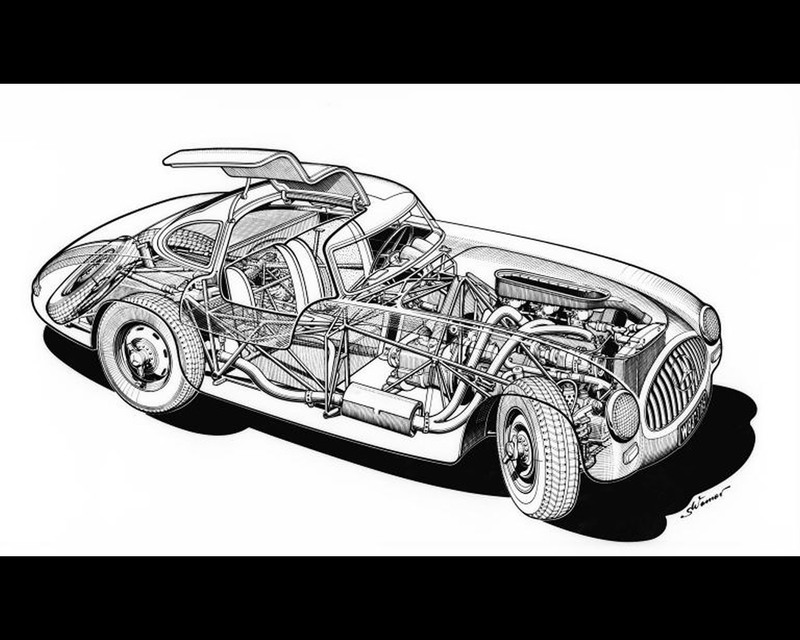 The new sports racing car used a tubular space frame that was so high that access to the cabin could only be arranged through gull-wing doors. The six cylinder engine taken from the Mercedes 300W sedan featured a number of modifications. 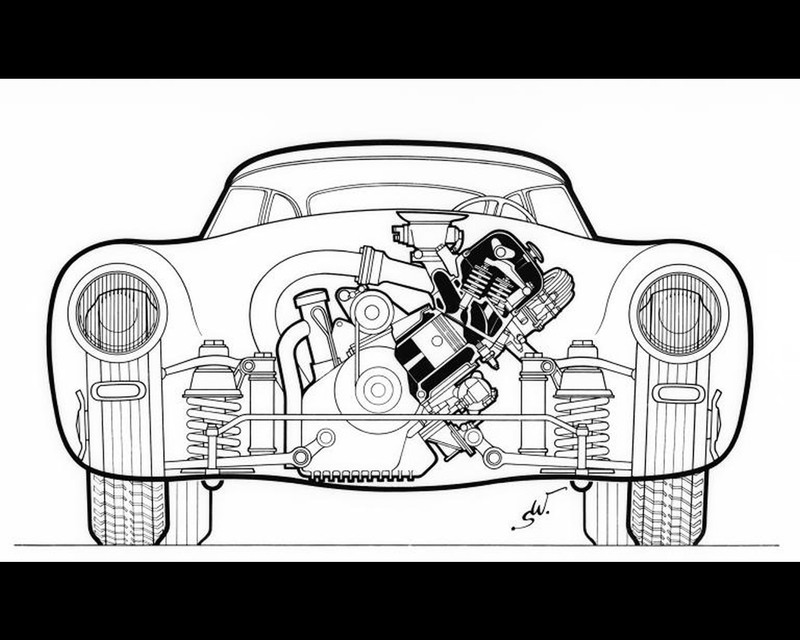 The most important was a replacement of the carburetors by a direct injection system, a technical advance that was years ahead of its time. The engine had been tilted to 45 degrees to the left in order to squeeze under the hood of what was an extremely flat car for its time. 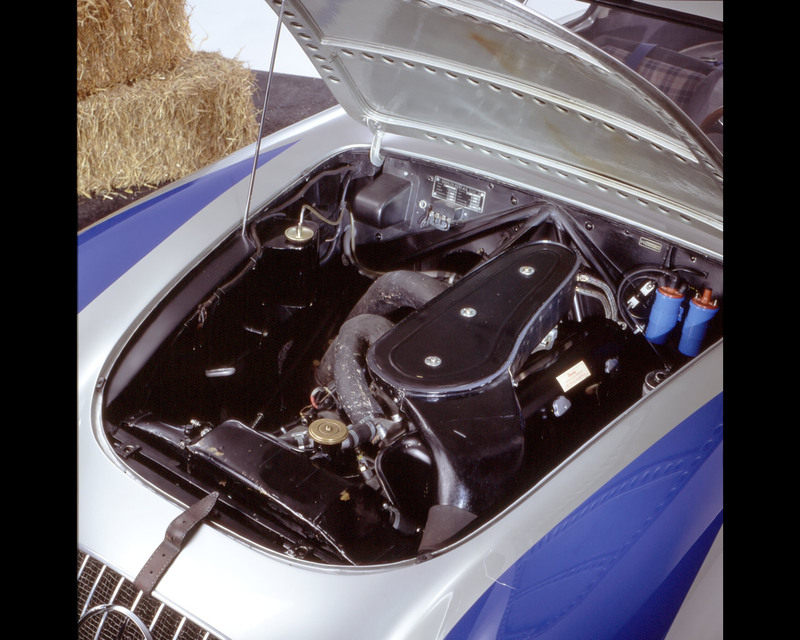 The center of gravity of the 300SL was almost exactly in the middle of the car. 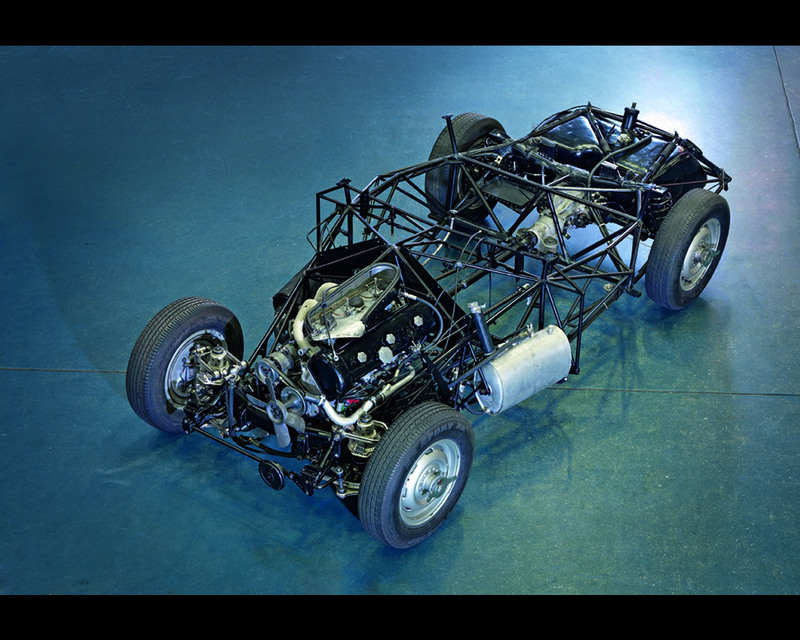 The body was entirely made of aluminium.